Bacon wrapped hot dogs have long been a favorite from SoCal street vendors, but leave it to Hoffy to make them both practical and delicious! 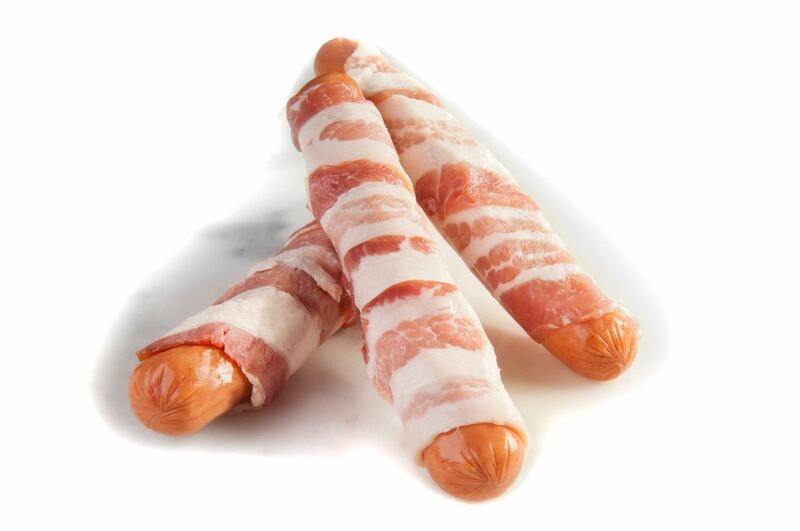 Our special technique means that the bacon is perfectly wrapped around the hot dog and stays that way. Just grill, bake or fry and you’ll be serving bacon wrapped bliss! 1. Grill over medium heat until bacon is cooked and crisp. 1. Bake at 350° until bacon is cooked through. 1. Skillet fry over medium heat, turning frequently until bacon is cooked through.